Group portrait of an Austrian-Jewish family. Dr. Robert Adler, from the University of North Alabama, will speak about the Austrian Holocaust, focusing on his father’s personal experiences. He will also speak briefly about the Holocaust in Spain. Wednesday, March 5, noon. Join us as we celebrate “Leap Year” at The Birmingham Public Library. Jump, jump over to your library! 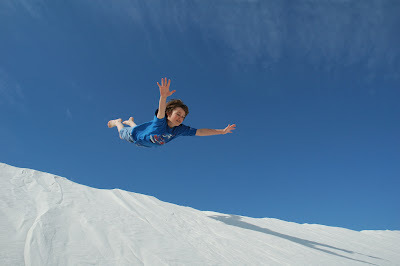 Today, February 29, is leap day. This is the one extra day inserted, or intercalated, at the end of February during leap years. These leap days are needed to keep our calendar in alignment with the earth's movement around the sun. An astronomical year, the time taken for the Earth to completely orbit the Sun, is about 365.242 days. Always using a calendar with 365 days would result in a loss of about six hours every year. This is not as inconsequential as it seems. After 200 years, a 365 day calendar would be more than 48 days ahead of the seasons, which could get confusing. Eventually the coldest day of winter could be the fourth of July. By adding a leap year roughly every fourth year, our "Gregorian" style calendar aligns with the seasons much more accurately. So all in all, leap days are helpful, but February 29 can still an issue for some. For example, when do people, born on February 29 celebrate their birthdays? Imagine you get a birthday cake once every 4 years. Bummer. Instead of waiting for the next February 29, these "leap-year" babes , also known as leapsters, typically celebrate their day on February 28. Some even attend the Worldwide Leap Year Festival to celebrate when leap days come around. Take time and enjoy your leap day. The next one of these bonus days is four years away. Either I'm getting older or the stars popping up in the news these days are getting younger. Take, for example, the recent Birmingham News article and video clip about babies as young as five-months-old being introduced to the joys of reading at the Avondale Public Library. Librarians and educators are working to get books into the hands of babies and children, some even before they leave the maternity ward, with programs such as Born to Read, Imagination Library, and Reach Out and Read. Birmingham Public Library is doing its part by making libraries more inviting to parents and children. Avondale and Springville Road Libraries have been designated as Family Place Libraries, and there are plans to expand this national reading initiative to the North Birmingham and Five Points West Libraries in the fall. 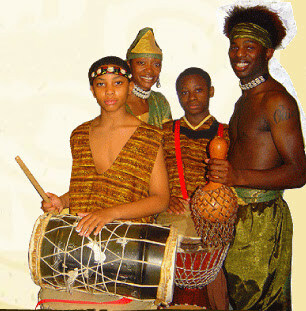 Nathifa Dance Company & Outreach, Inc. is a non-profit organization with a diverse group of young artists with multiple skills in African, Caribbean, and African-American dance and drumming. Under the direction of Sistah LaVondia Bryant-Square, Nathifa strives to nurture a vibrant multi-cultural community and teach young people pride, self-esteem, and a positive self-image through dance. All ages are welcome to join us at this BPL@Night that promises to be a colorful and energetic evening of dance and drumming. 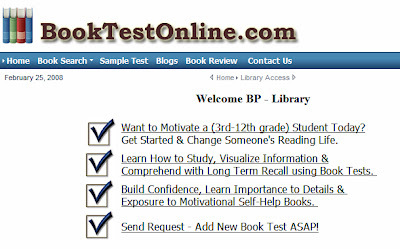 Don't let reading quizzes get you down, study up with our new database, BookTest Online. 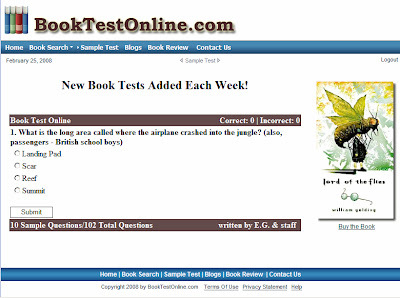 With BookTest Online you can test your knowledge and develop memory recall for your favorite books. Come to any Birmingham Public Library to get free access to this great resource. 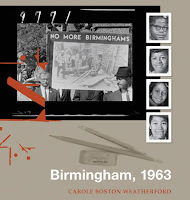 Birmingham, 1963 is told through the eyes of a ten-year-old girl, who along with her family is not just an observer but a participant in the Civil Rights Movement. She is witness to Martin Luther King’s stirring speech at the March on Washington, sits in protest at whites-only lunch counters, and is arrested along with hundreds of other young participants in the Children’s Crusade. For a seat at whites-only lunch counters. And buses carted us, nine hundred strong, to jail. Details of the girl's daily life reveal a subtle transition from child to young adult, and we can't help but think of four other girls who will never get to sing another solo, dance with their fathers, or grow into women. I rehearsed my Youth Day solo in the full-length mirror. In my patent-leather cha-cha heels. Under the church steps, then lit the fuse of hate. Left standing—the one where He stands at the door. The Lord is my shepherd, said the pastor on a megaphone. 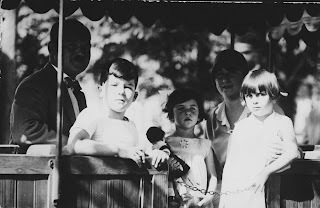 The only fatalities that day were four young girls—Addie Mae Collins, Cynthia Wesley, Denise McNair, and Carole Robertson—although twenty-one others were injured. Martin Luther King gave the eulogy at a joint funeral for three of the girls, and 8,000 people came to mourn their deaths. The bombing did exactly the opposite of what the terrorists had planned: instead of paralyzing the movement, it lit a fire under its feet and led to the signing of the Civil Rights Act on July 2, 1964. Birmingham, 1963 is a realistic but gentle introduction for children to the church bombing. The book ends with a poetic tribute to the four youngest victims. Carole Boston Weatherford will be visiting several BPL locations this week. Don't miss this opportunity to meet her and hear her discuss her new book. 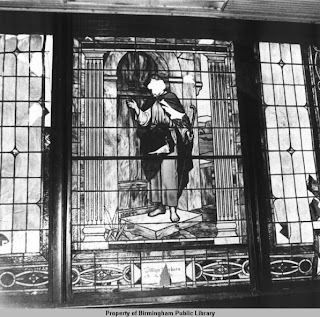 Some of the photographs in Birmingham, 1963 are from the Birmingham Public Library Digital Collections. On this day 115 years ago, the greatest college football rivalry began: The Iron Bowl. There is a historic marker on the site of the first Iron Bowl at the corner of Clairmont Avenue South and 32 Street South. 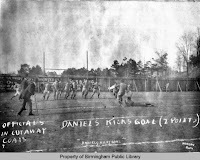 To see more pictures of the first Iron Bowl, come to the Tutwiler Collection of Southern History and Literature at the Central Library and look at the book The first Iron Bowl : Alabama versus Auburn, February 22, 1893 / compiled by Alvin W. Hudson. Whether you say War Eagle, as I do, or Roll Tide, it was a great day for us. 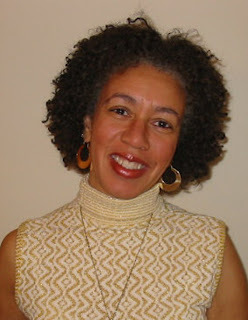 Carole Boston Weatherford is a best-selling poet and children's author. Birmingham, 1963 is her fictionalized account of the Sixteenth Street Baptist Church bombing from the perspective of a 10-year-old girl. The book also offers tributes to the four young girls who died in the tragedy. Wednesday, February 27, noon. If you can't attend the Brown Bag Program, Weatherford will also be visiting other Birmingham Public Libraries in February. The Birmingham Public Library's Interlibrary Loan (ILL) Department acquires books, photocopies of non-circulating materials (such as magazine articles), and government publications not already owned by the public libraries of Jefferson County for library patrons. Take a look at this map showing just a small fraction of the hundreds of libraries that have dealt with the BPL Interlibrary Loan department including private libraries, universities, the Library of Congress and NASA. Learn more about this valuable service on our Interlibrary Loan page. 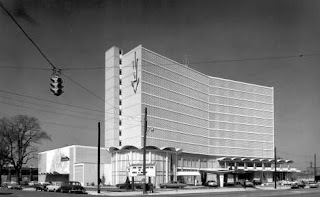 One of Birmingham's landmarks, Parliament House Motor Hotel, is scheduled to be imploded this Sunday. Built in 1964 by actress Doris Day and other investors, the Parliament House was the place to stay while in Birmingham in the 1960s and 70s. New York Times best-selling author Carole Boston Weatherford will visit the Birmingham Public Library February 25–27, 2008, and present a series of programs in several of the twenty library locations. Ms. Weatherford has been writing since first grade when she recited an original poem to her mother and has since authored 26 books, celebrating family stories, fading traditions, and forgotten struggles. Her books have won the Coretta Honor, The Coretta Scott King Award for Illustration, the Carter G. Woodson Award from the National Council for the Social Studies, three NAACP Image Award Nominations and two North Carolina Juvenile Literature Awards. Her best-known titles include Moses: When Harriet Tubman Led Her People to Freedom, Freedom on the Menu: The Greensboro Sit-Ins and Remember the Bridge: Poems of a People. Her latest releases are Dear Mr. Rosewald, Jesse Owens: Fastest Man Alive, and Birmingham, 1963. Ms. Weatherford is an associate professor at Fayetteville State University in North Carolina. Wylam Elementary - 10:00 a.m.
North Avondale Branch Library - 1:00 p.m.
Springville Road Branch Library - 6:30 p.m.
Birmingham Public Library (Central) - 10:30 a.m.
Smithfield Branch Library - 1:00 p.m.
Avondale Branch Library - 6:30 p.m.
North Birmingham Branch Library - 10:00 a.m.
West End Branch Library - 3:30 p.m. 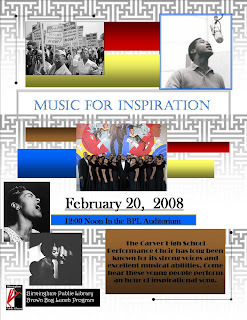 The Carver High School Performance Choir has long been known for strong voices and excellent musical talent. Come hear these young people perform an hour of inspirational song. Wednesday, February 20, noon. A native of Tuscaloosa, AL, and a singing wonder in the 1960s and 1970s, Roszetta Johnson returned to Alabama after a successful career to pursue the dream of a college degree. 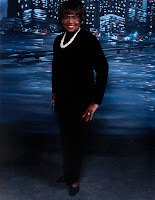 Ms. Johnson taught at Ramsey High School in Birmingham and after retiring she has once again returned to her first love–singing. The Birmingham Public Library is proud to announce a special performance in the atrium of the downtown library where Roszetta Johnson will perform a free concert at 6:30 p.m, February 21, 2008. Inducted into both the Alabama Music Hall of Fame and the Alabama Jazz Hall of Fame in the early 1980s, Ms. Johnson led a successful recording and performing career. She recently won an award from the Birmingham Art Music Alliance for Best Female Vocalist. Fans from around the world have enjoyed Roszetta Johnson’s music, from Vancouver to South Africa to Japan, and fans will be happy to learn that she will release a new CD in June of this year. Her reemergence into the performance world is a treat for everyone and the Birmingham Public Library is thrilled to host her. BPL@Night’s “An Evening of Jazz” will be an evening to remember. I have a vivid memory of being 10-years-old in the summer of 1975 and standing in a line that snaked around the movie theatre in Hoover to see Jaws. With so many theatres dotting the landscape these days and the ability to catch a movie in the comfort of home when it's released on DVD, these long lines probably seem laughable in 2008. But that was life back in the days before home theatres and iPods, when movie lovers were willing to brave the elements for art’s sake. Roy Scheider died Sunday at age 75. He has a long list of movies to his name, and was nominated for his roles in The French Connection and All That Jazz. But he will probably be most fondly remembered for his role as the exasperated Police Chief Martin Brody in Jaws, and for his classic understated line, “You’re gonna need a bigger boat.” R.I.P., Chief. Boy, trailers sure have come a long way since 1975. As authors pass away or stop publishing as often and new popular authors take their place, the Best Sellers Club form is revised. Click here to revise your author list or join the club, or visit a Birmingham Public Library to fill out a new form. You may also use the online form at any time to make changes in your contact information and pick up location, or cancel your membership. The Best Sellers Club is a program to provide quick access to new releases from best-selling authors. Select from a list of 91 authors and have the books delivered to your preferred Birmingham Public Library branch. You will be notified when your copy is available. So what if you don’t have a sweetheart this Valentine’s Day. It's just a Hallmark holiday anyway. Right? If you’re just going to don your favorite flannel pj's and cry into your bowl of microwave kettle corn, at least settle in and watch some of the most romantic movies of all time. The American Film Institute has done the compiling for you. As with any Top [insert noun here] List, you won’t agree with them all. You might be thinking, “Pretty Woman (#21) made the list and not While You Were Sleeping or The Piano? Pretty Woman!” And I would agree with you. Click here for movies 11-100. Cary Grant is the most celebrated actor, starring in six films in the top 100. 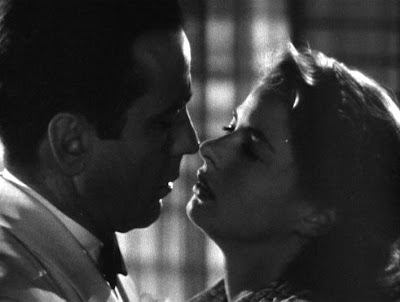 Hepburns make up 11% of America’s greatest love stories. Katharine stars in six of the top 100, while Audrey graces five. Marni Nixon's singing voice sang for Eliza Doolittle in My Fair Lady, Maria in West Side Story, Terry McKay in An Affair to Remember, and Anna in The King and I. Marni accompanies her voice while playing Sister Sophia in The Sound of Music. William Wyler (Roman Holiday, Funny Girl, Jezebel, Wuthering Heights) and George Cukor (A Star is Born, My Fair Lady, Camille, The Philadelphia Story) were the most represented directors. Mike Nichols, Rob Reiner, George Stevens, and Billy Wilder helmed three love stories respectively. Seven of AFI’s top 10 greatest love stories feature couples that do not end up together in the end. The AFI countdown contains approximately 187 fights and 260 kissing scenes, proving that lovers quarrel, but more often than not, they make up. The Birmingham Public Library Board cordially invites you to attend the Wilma L. Cottrell Community Room Dedication Services on Saturday, February 9, at the East Ensley Branch Library. The reception will be at 11:00 a.m. followed by the dedication at 11:30. Mrs. Cottrell was a long-time employee of the BPL system beginning in 1966. She served as head of the East Ensley Library from 1978 until her death in 2007. She was well-loved by the community and is still deeply missed. We hope that you will join us as we share memories of Mrs. Cottrell and celebrate a life that touched so many! 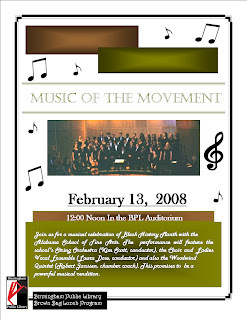 Enjoy a musical celebration of Black History Month with the Alabama School of fine Arts. The performance will feature the school's String Orchestra (Conductor Kim Scott), the Choir and Ladies Vocal Ensemble (Conductor Laura Doss), and the Woodwind Quintet (Chamber Coach Robert Janssen). Wednesday, February 13, noon. Best known for his autobiography Black Boy: A Record of Childhood and Youth and Native Son, the novel that introduced the literary world to the conflicted Bigger Thomas, Richard Wright's last novel, A Father's Law, is appearing in print for the first time. Completed six weeks before his death in 1960 and released by his daughter, it tells the story of an African-American Chicago police chief who suspects his son of several murders. Flip through Amazon's Search Inside™ feature for a for a sample of the first chapter. BPL@Night Tackles the Question: Who is Walter Mosley? 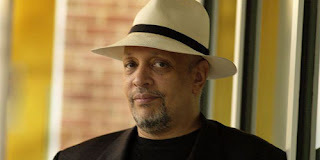 Nationally renowned author Walter Mosley has been selected to receive the Books-A-Million Grand Master Award this year at Birmingham-Southern College’s Writing Today. The Birmingham Public Library will celebrate his arrival with an in-depth discussion of Mosley’s work and achievement on Tuesday, February 12. Mr. Mosley’s work spans several decades. His most popular mystery series features an African-American detective, Easy Rawlins, a character who has become a fictional icon. Denzel Washington played “Easy” in the movie adaptation of Mosley’s book, Devil in a Blue Dress. Mr. Mosley has also become an important cultural critic, particularly of African- American issues. He is one of the first writers to seamlessly weave African-American social issues into mystery stories and critics applaud his mystery books for being multi-layered. Although Walter Mosley will not be appearing in person, the Birmingham Public Library would like to give a preview of the author before he visits the Magic City in March. Dr. Peter Donahue will lead a panel that includes Dr. Don Noble, long-running host of Alabama Public Television’s weekly series, Bookmark, and Professor Emeritus at The University of Alabama, and Steve Crocker, Fox 6 News anchor. This distinguished panel will discuss the work of Walter Mosley, including the literary achievements and social impact of his writing. 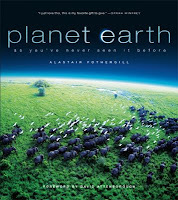 Planet Earth: As You’ve Never Seen It Before by Alastair Fothergill is a spectacular visual journey through some of the most amazing places on our planet. The book is a companion to the Discovery Channel/BBC series which was an awesome natural history project, exploring some of the greatest places on the planet, along with wondrous creatures and beautiful landscapes. Filled with breathtaking photography, the book allows us to explore the frozen arctic, great forests, plains, desert sands, mountains, freshwater, rainforests and vast ocean depths. From microscopic life in a drop of water, to the incredibly rich tropical regions of the world, our planet is home to an incredible diversity of creatures and habitat regions. Explore the cold harsh artic world of the polar regions, journey to the incredible richness of the great forests and wonder at the tropical rainforests, home to delicate, dangerous but breathtaking beauty. Alastair Fothergill fills this book with descriptions of each ecological region that provides interesting information about each biological area. For example, did you know that Welwitschia is a plant which grows in the Namib Desert of Africa and has leaves which are designed to conserve water from the early-morning fog of the Atlantic coast? Another spectacular plant is an airplant that grows in the Atacama Desert. The plant has no roots at all but does have springy leaves which can roll in balls across the desert. The structure captures the moisture from the cold Pacific waters. Interestingly, there can be as many as 20 species of figs in one area of the rainforest. Just spectacular! In the book’s foreword, David Attenborough states that “But-alarmingly- it is also the case that, within the next few years, the world itself may never look the same again.” Unfortunately, many of our rich regions are being lost to global warming caused by human activities. Take an exploration through this book as a reminder of the breathtaking, spectacular beauty of our planet. Also, take a look at the richness and diversity of creatures and habitats we are in danger of losing. The book allows us to marvel and wonder, but serves also as a stir to action. So, take an incredible journey to some beautiful, spectacular and dangerous places. There are many strange, wonderful, extraordinary creatures that call our planet Earth home. Let’s do our part to care about the Earth and protect these spectacular, beautiful and diverse areas! BPL @ Night presents a concert by the Alabama Jazz Hall of Fame Junior Heritage Jazz Band on Tuesday, February 5, 2008 at 6:30 p.m. at the Five Points West Library. Join us for all that jazz. Call 226-4013 for more information. Looking forward to spring, I am reminded of a wonderful book, Cultivating Delight, by poet and naturalist Diane Ackerman who lyrically brings to us the natural history of her garden and the cyclical changes that take place through the seasons. The author excites the senses with details of flowers, garden inhabitants including bugs, animals and details of her daily observations of garden life. Ackerman writes poetically and descriptively, while including scientific names and observations of flowers and creatures of the garden. She incorporates interesting information from related subject matter including literature, poetry, mythology and trivia which enlivens the reading. She discusses the natural preference for growth in the garden to be of a disorderly fashion, while gardeners have the conflicting preference to create order. Ackerman describes the season of spring as the time for the garden to awaken. During this time, snowdrops appear and brighten the sleepy landscape. She describes wood frogs, ladybugs and the first hummingbird of the season in colorful language which will interest the gardener, naturalist or general reader. With the sensuality of summer, Ackerman describes the changes in her garden, new garden arrivals, including summer insects and flowers. She includes a discussion of her passion for roses. During autumn and winter, the garden slows and days begin to shorten. She describes the changes in leaf colors as the brilliant oranges, golds and reds make their showing in nature. The change in garden inhabitants is interesting after snow and ice envelopes the landscape. She includes an interesting discussion on the development and shape of snowflakes. I enjoyed the poetic language and sensual treatment which Ackerman used to describe her garden. I believe you too will enjoy the poetic descriptions and interesting information concerning the natural world. You will learn to appreciate the small everyday changes in nature which make the natural world interesting and beautiful. Whether you enjoy reading about gardening, biology, nature or just enjoy the poetic beauty of life, I know you will love this book. I believe it will open your eyes to things you may have missed before. So, go plant something and you too can enter Diane Ackerman’s magical world in your own garden.